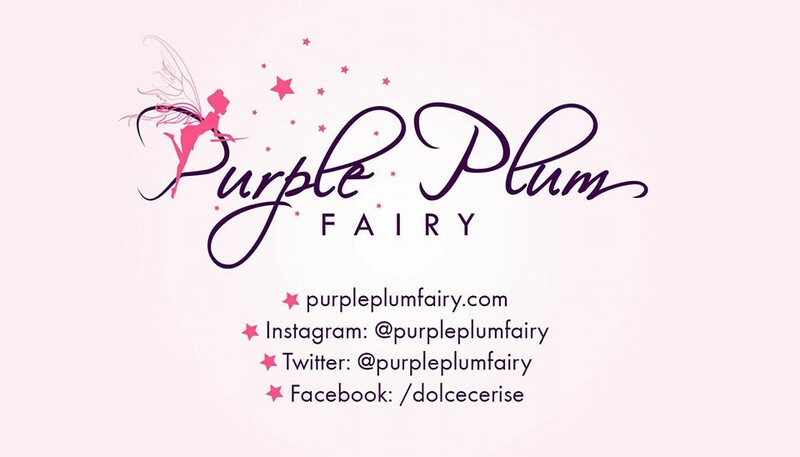 Gorgeous ladies invaded the SM Supermarket of SM Megamall and the Mega A Event Center recently to the delight of the shoppers. 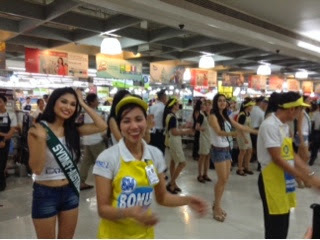 As part of their pre-pageant activities, the delegates of the Miss Philippines Earth gathered together and had fun with the shoppers. They sang from a videoke with participants from the crowd and even danced together with the Customer Service staff of SM Supermarket. 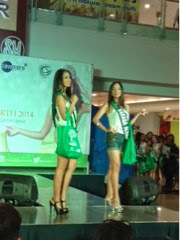 The said event kicks off the "beauty for a cause" campaign of Miss Philippines Earth. 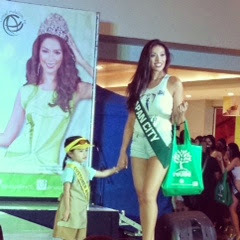 Combining beauty, brains, grace and the heart for the environment--sets Miss Philippines Earth apart from the other beauty pageants worldwide. 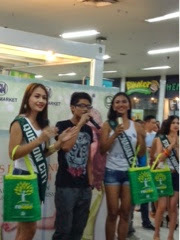 SM Supermarket, Savemore Market, SM Hypermarkets served as venues for the lovely candidates to spread environmental awareness among shoppers as they held SM's popular re-usable bags. The said campaign known as "Join the M.O.B. (MyOwnBag)" encourages shoppers to reuse their shopping bags. 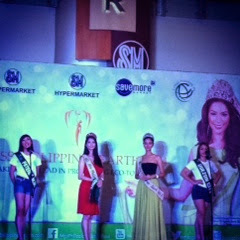 The Miss Philippines Earth 2014 delegates also served as ambassadresses of the SM Greenbag, the very first reusable bag in the Philippines as they urge the public to choose to reuse. No matter how small effort it maybe, when all our efforts are combined, we could all do our part in making this world a better and hopefully greener place to live in. 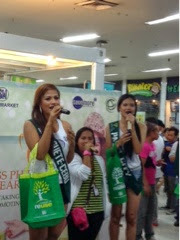 Fun games, exciting trivia and presentation of the ladies were held at the Mega Events Center. There were a special production number from the girls where the audience had a glimpse of the Miss Philippines Earth 2014 candidates. Some even had their own bets this early as to who will most likely bring home the crown come the coronation night. Watch out soon as these delegates will be taking on SM's Cooking Challenge at SM Supermarket and SM Hypermarket Fairview, and will be joining the 5-day sale to further promote going green at SM Supermarket San Lazaro and SM Hypermarket Bicutan on May 2. 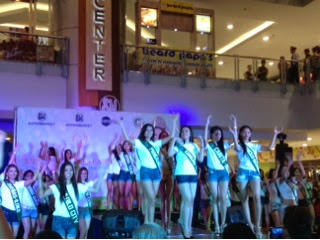 The culminating activity will be the grand coronation night which will be held on May 11 at the SM Mall of Asia Arena.